Turns out it’s It’s Ali Boma ye, so I was a bit wrong, but we all learnt something. This is a beer that us 16% ABV and a large 480 calories a serve size in this 500ml bottle, also it’s worth about 6.3 standard drink units. Lucky I’m only driving a laptop this afternoon. 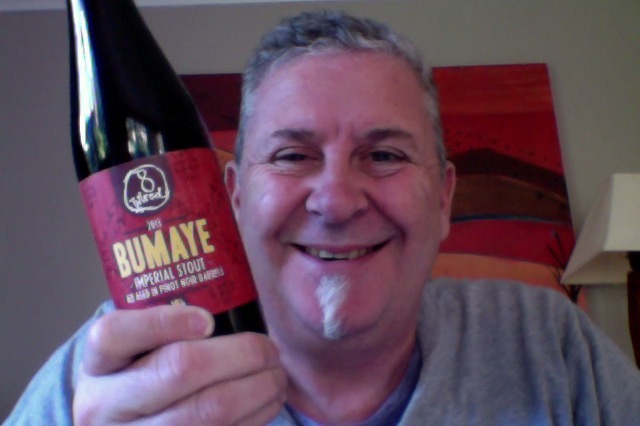 Sometimes – OK, rather often, actually – I find myself asking, “How far can we take it?” Keeping in mind that flavour should be the main objective at all times, the conception of Bumaye was one of those moments. To make it we started out with the baddest imperial stout we have ever brewed, and then added loads of tasty sugars to the fermenter for extra flavour. To smooth out the roughness, we allowed the beer to mellow in Pinot Noir barrels for 3 and a half years. – Let’s rumble! Chocolate rich red wine tannin aroma on opening, what a party for the nose! Pour is dark cold pitch black, which even with a good effort at making it have a head failed. It sits dark and brooding the the glass, obsidian. That’s such a deep aroma or that red wine in this in the glass that it nearly catches at the back of the nose. I read something on this recently that referenced ‘umami’ as one of the things, I scoffed derisively. I shouldn’t have, this really does have what you could describe as a strongly in place and appropriate savoury taste. This is full in the body, with that red-wine infusion bringing a familiar wine-like level of tang. The finish on the tongue is lovely, light bounce and then a real lingering full mouth sensation. This is wonderful beer that gets better as it warms, fills out, mellows and lets loose a pack of aromas that all you with a deep sense of joy and wonderment. Which is surprising because it’s easy drinking beer without a hint of the boozy or sharpness from a high alcohol level. The tastes too level out, level up even, and give you a full flavour experience and flavours without challenging or pushing you around, this is just nice beer. Properly nice. *I’m not this is chuffing good beer that beer lovers and a red wine buff should enjoy equally, that or one of them is telling fibs. Where did I get it? The local Liquorland had some, they should be around in good places. Am I enjoying it? Yes, it got better and better. Would I have another? Yes, I’d not say no. 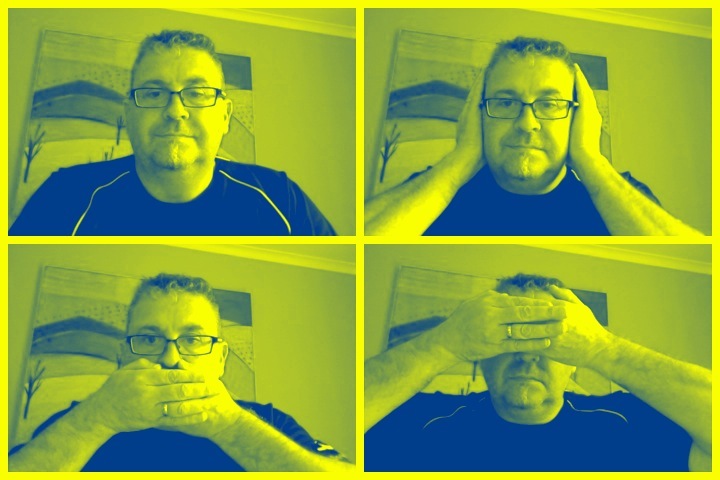 There are some great well crafted tracks, this one that I particularly like, but it’s chock of good listening. Also I don’t understand why “Vanderlyle Crybaby Geeks” seems to be a fan favourite, but then again you can’t like every music. This sounds like a beer I must try. Now I just need to figure out how to get a bottle of the stuff. Forgot to add … a beer that is aged for 3 1/2 years!!!! 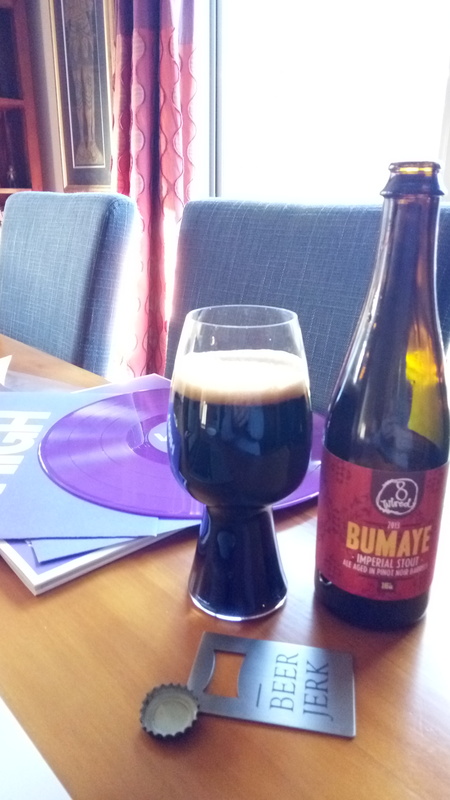 This entry was posted on May 21, 2017 by Philip Walter in 8 Wired, Beer, Beer of New Zealand, Beer Review, Craft Beer, Critic, Imperial Stout and tagged 8 Wired, 8 Wired - Bumaye, 8 Wired Bumaye 2013, Alcohol by volume, Beer, craft beer, Imperial Stout, Red wine, Stout, Warkworth, Wine tasting descriptors.